Ice pops are arguably the best way to cool down on a hot summer day. Usually they are pretty sugary, which is ok if you aren’t chain eating them, but why not make them both healthy and delicious? These here pops set out to check both of those boxes. he base of these popsicles is Greek yogurt, which has pretty much sky rocketed in popularity over the past several years, and for good reason. Greek yogurt has much more protein than regular yogurt, often 2-3x as much. It also has a desirable thick and creamy consistency unlike the loose, almost soupy consistency of traditional yogurt. (Clearly I am Team Greek Yogurt) The protein content of Greek yogurt makes it a great choice as a high quality source of protein in meals and snacks. 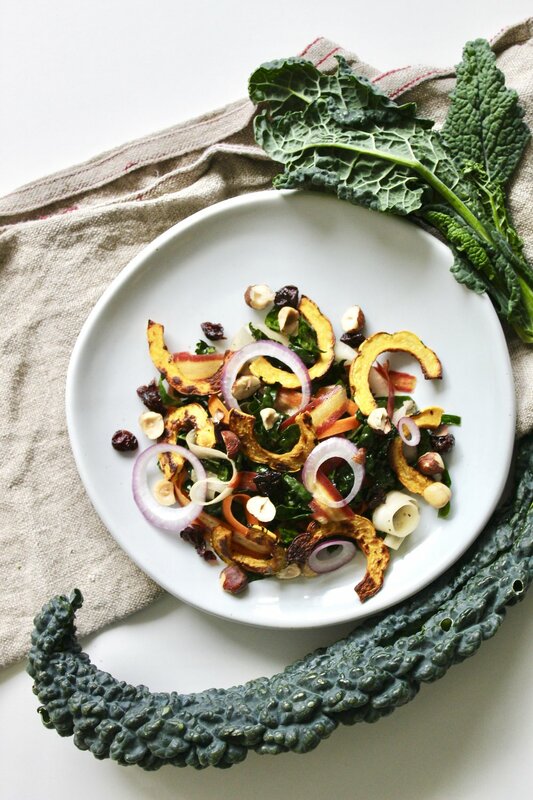 Pair with some fruit for a simple, nutritious combo. These ice pops turn classic fruit and yogurt into a refreshing and satisfying summer treat. The lovely purple blue swirls in these popsicles is a blueberry chia “jam”. Chia jam is a pretty ingenious idea creating essentially a naturally sugar-free jam. Chia seeds absorb water around them and can make liquids much more viscous. When making a jam or jelly, lots of sugar is usually added to fruit to help create the thick consistency expected in a fruit spread. In this jam, it is the chia soaking up the blueberry juices that thickens the mixture. The final product is thick and spreadable like a jam, but with the added health benefits of having no extra sugar, and with some protein, fiber, omega-3s and antioxidants from chia seeds. et’s talk about bluebs. 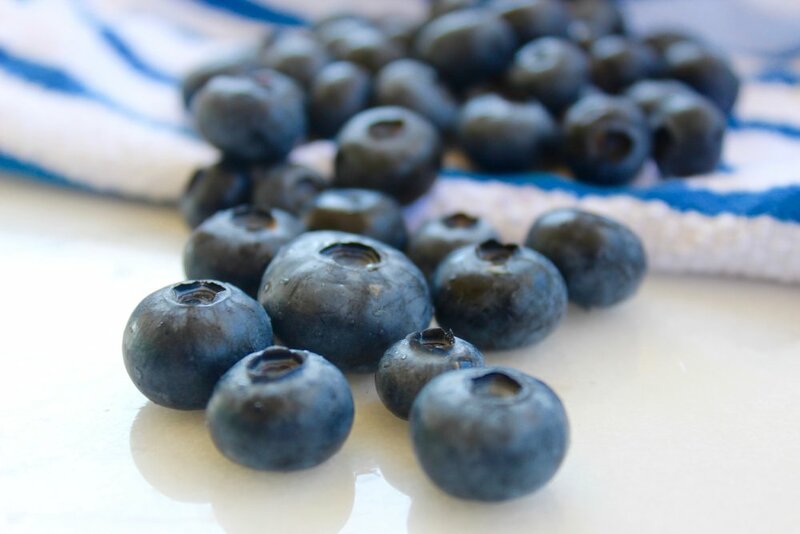 Blueberries have a well-established reputation of being one of the best food sources of antioxidants. Anthocyanins are the major antioxidant present. When consumed, they are able to reduce the amount of harmful free radicals in the body, as well as inflammation. Blueberry consumption may even help improve vascular function, which is clearly of great importance when it comes to athletic performance. he idea here was to create ice pops that are refreshing, nutritious, and just a little sweet. These popsicles have just a little sugar added in the form of honey. Just enough to make them lightly sweet, but not too much so that they would be considered high in sugar. You should be able to feel good about choosing these pops as a nutrient dense snack alternative to an ice cream popsicle. This recipe was created to make about 2 cups worth of yogurt and jam mixture to fill 6 pop molds that each hold 1/3 cup volume. You may adjust as needed to fit your own pop molds, or just make more or less pops with what the recipe gives you. Other berries like raspberries or blackberries would work great instead of or in addition to the blueberries. You can use a Greek yogurt with any milk fat percentage, but choosing one low in fat keeps the popsicles low in calories and saturated fat. I hope you give these a try and taste a cool (too corny?) new way to enjoy fruit and yogurt! In a small saucepan, heat the blueberries on low heat. Cook for about 5 minutes, or until the juices release from the berries. Roughly mash the blueberries and remove from the heat. Add the lemon juice and chia. Stir well and then let sit for about 5 minutes. The chia will absorb much of the juices and thicken the “jam”. Set aside and let cool. Mix the yogurt, milk, honey, and vanilla until well combined. Layer the jam and the yogurt mixture into ice pop molds. You can leave them layered or use a knife or chopstick to mix the layers a bit to make swirls. Insert popsicle sticks and let freeze for at least a few hours or overnight to be sure. Enjoy!